Inland Technology's SMART Interactive Whiteboard transforms teaching at Murrurundi Preschool. Murrurundi Preschool is a community-based centre that caters for 3 - 5 year olds. The Preschool offers early childhood educational programs for children in the Murrurundi rural area in the Upper Hunter region of New South Wales. Preschool Director Donna Hopkins runs an interestbased program tailored to their children’s individual needs. The program was paper-based until three years ago, when iPads were introduced as a learning accessory – but Donna explains that trying to crowd 10-15 children around such a small screen had proved challenging. The team has been looking at introducing new technology to assist with learning and development, but funding had been scarce. 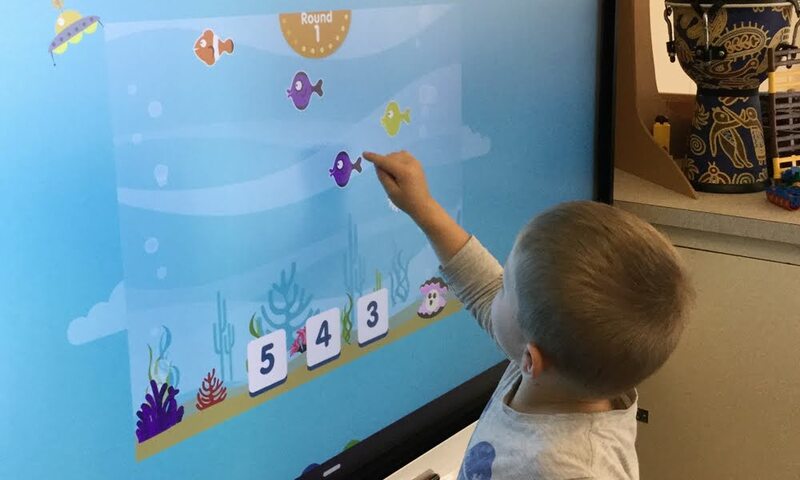 Inland Technology had previously provided the preschool with a printer, and it was through their existing connection that Donna and the school’s team of educators learned about their interactive whiteboard. The school managed to obtain partial funding for the whiteboard through a grant obtained via the education department, and the preschool committee was able to raise the remaining funds. The whiteboard’s lesson programs can even incorporate related YouTube videos, which have been pre-chosen and are safe for the children to view. And connecting apps to the board, Donna and her team of educators can more effectively teach their kids everything from learning left from right, to core body strength lessons so they’re able to sit comfortably for longer periods of time. THE CHILDREN ARE DEVELOPING QUICKER SINCE THE INTRODUCTION OF THIS TECHNOLOGY. On an individual level, Donna also says that the whiteboard has been a great method for supporting kids who have specific interests, enabling them to really drill down and explore a subject they find fascinating, while still working for the needs of the class as a whole.